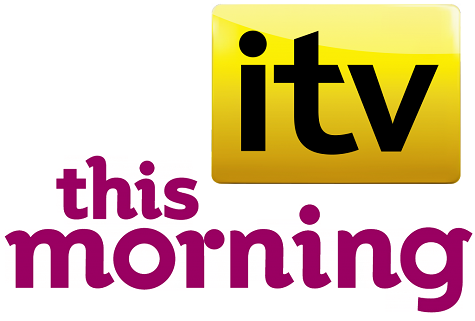 I was recently contacted by a researcher from ITV representing the show This Morning. I often get contacted by such representatives and have done for over a decade. I usually help out, but I am so sick and tired of what they put out there I decided to reply and hopefully make a dent in the minds of the program makers, I doubt it will make a difference, as it never does, but you never know. I know that the ITV researcher also contacted various other skeptic groups, who I am sure are climbing over each other to help in the hope of 5 minutes of TV fame, or to get their name on the telly, but that's not my game, never has been. This is BadPsychics, and the message from us is that Mediumship is wrong, it is not real, it is fraud. And if you don't like that then PROVE ME WRONG! Here is the email with various bits redacted like email address and names etc, afterall dont want to get into any trouble, although I am sure I will get told to remove it soon. Hi, I work on This Morning and I'm getting in touch to pick your brains about an item for next week. We are doing an item on psychic fraud and are desperately trying to find a case study. What I'm finding is that while there is no shortage of fake psychics, no one wants to go on the record to talk about being conned. Is there anyone you know of who might work? Unfortunately you are unlikely to find anyone, why would anyone want to go on the record and admit they were conned by such a ridiculous scam, it is humiliating, embarrassing and the last thing anyone would want to do is go on TV and advertise the fact they were made to look a fool! Lets add to the fact you will undoubtedly trot out some fake psychic/medium to be on the segment as well, and give them airtime to publicise their own fraud. And I am sure you have Paul Zenon or someone similar to represent the sane minded, but he'll get a 10th of the time given to the fake psychic, and its the same old story on ITV. I've seen it so many times, you treat the subject as if it is legitimate, instead of treating it like the vile crime it is. And even if you do present an intelligent segment breaking down how these frauds work, after a few weeks you will have some Astrology segment, or a dog psychic on the couch for a free 5 minute advertisement of their fraud. I know a lot of people who have been conned by psychics, I HELP them, I go to trading standards, the ASA, I go direct to the psychic and encourage them to refund in full the person who was conned. I go out of my way to help those who have suffered, I damn sure don't embarrass them, or allow them to be humiliated on TV in front of thousands of viewers. Sorry ####NAME REMOVED####, I have been in this business over a decade, I know how TV works, I know you guys are only interested in a 5 minute segment, and I simply cant see you changing what you have done every single time the subject is brought up on This Morning. Instead of doing what you always do, why don't you try and do something original like presenting a 10 minute segment breaking down exactly how these frauds work, and the steps in which people can fight back, what people should do when they are conned by a psychic. Have a lawyer on the show to explain your legal rights, and to explain the consumer protection act. Have Paul Zenon explain the tricks, expose the tricks. Do a consumer help segment instead of some dumb humiliating interview whereby a poor woman has to admit she was fooled by someone pretending to talk to her dead daughter. So what do you think? Was I too harsh? Should i have helped. Leave your comments below.